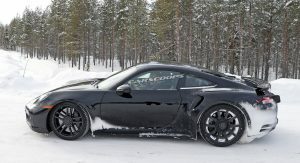 We’ve seen countless Porsche 911 (992) prototypes over the past few months and it appears we’re getting our first glimpse at the next-generation 911 GT3. 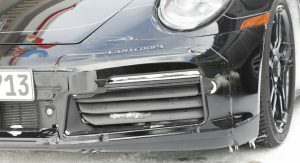 While the model looks similar to previous 911 Turbo testers, this particular car has a handful of unique touches which suggest it is something different. 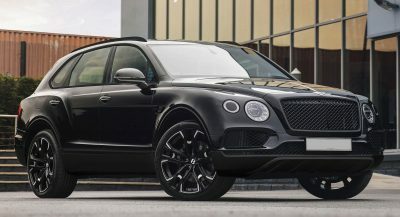 The most obvious change is the addition of center locking wheels which are a hallmark of high-performance models such as the GT3 and GT3 RS. 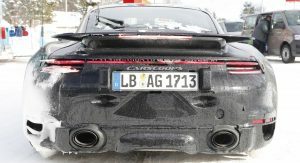 Our spy photographer also notes the car has a ventilated rear bumper and a modified exhaust system which echoes the one used on the GT2 RS. 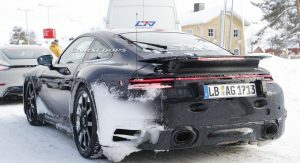 Reports have suggested the next-generation GT3 will drop the naturally-aspirated 4.0-liter six-cylinder engine that powers the current model and adopt a turbocharged setup. 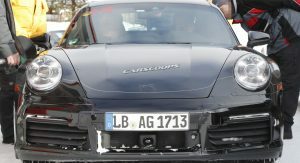 Little is known about the engine but rumors have suggested the turbocharged unit could produce around 550 PS (404 kW). 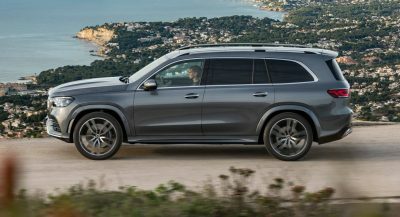 This would be a substantial increase over the current model which has 500 PS (368 kW). 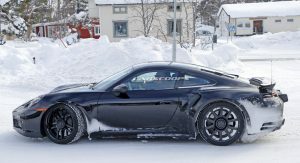 If adopting a turbocharged engine was heresy enough, reports have indicated the next 911 GT3 could be available exclusively with a PDK transmission. Some may frown on that decision but the gearbox significantly improves performance. When the current model is equipped with a stick, it runs from 0-100 km/h (0-62 mph) in 3.9 seconds. However with the PDK gearbox, that time is cut to just 3.4 seconds. 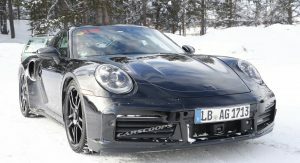 Porsche is expected to introduce the redesigned 911 at the Paris Motor Show later this year and it will eventually be followed by an assortment of different variants. 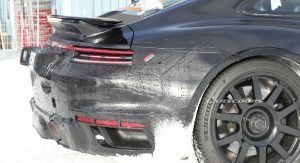 The exact timing remains unclear but some reports have suggested the 911 GT3 could debut as early as 2019. 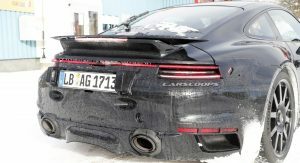 Looks like the Turbo S to me. 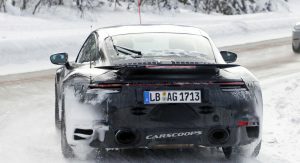 Only differences I see between this and the Turbo prototypes is the exhaust and center locking wheels, which come standard on the current Turbo S but not Turbo. Rear vents, spoiler, and lack of a prominent splitter all scream Turbo. No way would Porsche sell a GT3 without a big fixed wing. 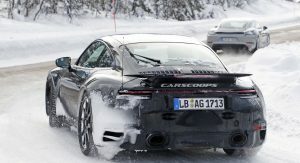 Well there is the GT3 Touring. Wait, we’ve been down this road before. 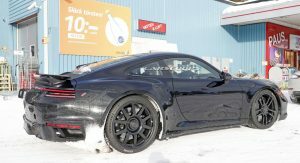 Porsche built the previous GT3 with only a PDK transmission. Enthusiasts cried foul, so they came up with the 911R, which was turned into a money making venture for a few people and the cars were hardly driven to keep the value up. That pissed Porsche off, so they came up with the 911 GT3 touring to get back at 911R owners which were only in it for the profit. 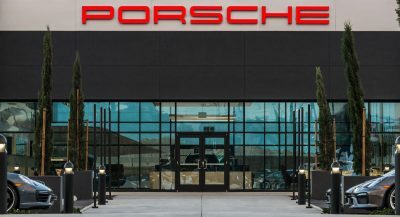 Now, you’re telling us Porsche wants to go back to a PDK only GT3. 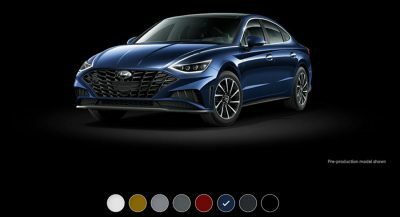 Is Zuffenhausen HQ really going to come full circle on this again? Couldn’t explain better. True porscheist you are.